The next title in the ResurreXion lineup is finally upon us. One of the things that has always been a popular part of the X-Men franchise is the school and a series devoted to the students. 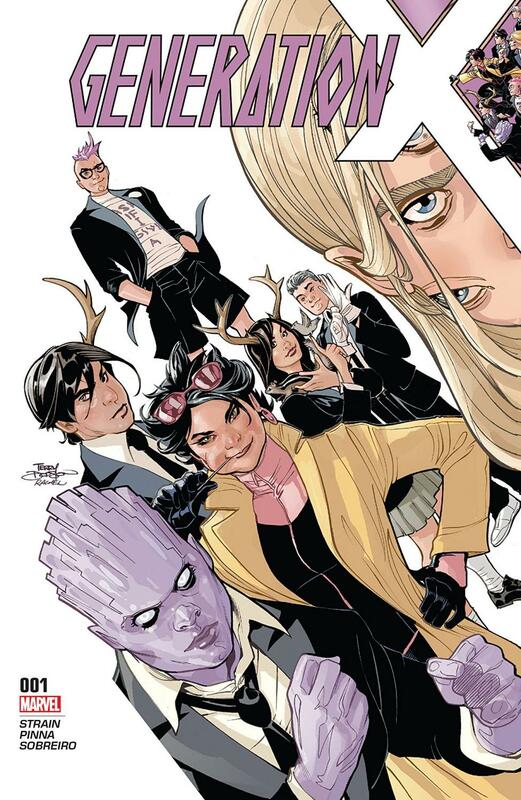 This series we get to see Jubilee step up and become a mentor for the younger mutants. A complete roll reversal as in the original Generation X series Jubilee was one of the students. Nathaniel is a new student but his first day isn't going as smoothly as he thought it would. What would a day at Xavier's be without a fight breaking out and something getting broken? I really want to like this series, it is one of the new ResurreXion titles that I've been the most excited for. I loved seeing Jono one of the original Generation X members and I hope we get to see more of him and maybe Husk and some of the other original members that are still alive. The thing though that I found about this issue was it was a lot of setup and not much story. This is just a first issue but there are other series that in a first issue managed to cover a lot more than this was able too. Hopefully in the next issue we really get to get into the heart story and the characters. One of the big successes with this issue was Jubilee. With everything she has been though over the years it's great to see her in the spotlight, and she really felt like her. Shogo needs to take a back seat a little bit but Christina Strain managed to really deliver an authentic Jubilee true to the heart of what caused us to fall in love with her back in the 80s, but a little more grown up. The art in this series was really interesting. Amilcar Pinna has crafted and very unique style for this series. It has a strange quirkiness to it that is very well suited for the cast of mutant delinquents Strain has chosen. We finally have a book devoted to the students and I couldn't be more happy. There's lots of cameos of mutants we haven't seen in awhile, and I'm sure there'll be even more as the series continues. This first issue was a lot of setup but it looks like it could be another solid series in the new ResurreXion lineup, It's just a little too soon to say right now.